In this age of digital media, the handcrafted ethic and aesthetic of a Hatch Show Print poster is beyond compare. Country musicians and magicians, professional wrestlers and rock stars, all have turned to Nashville's historic Hatch Show Print to create showstopping posters. Established in 1879, Hatch preserves the art of traditional printing that has earned a loyal following to this day. 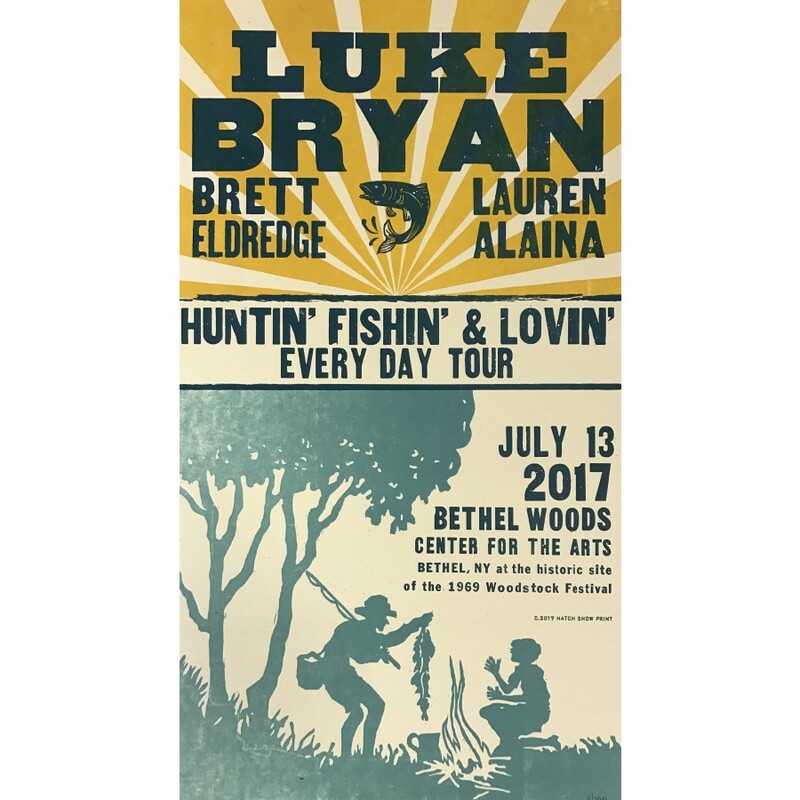 Bethel Woods offers a limited and numbered Hatch Print Poster for each of our 2017 Pavilion shows, start your own collection now. Learn how this poster is made by visiting hatchshowprint.com.